Yo Flow has now launched and is in open beta. This means that you can sign up and try it out but there might be some bugs so I’m not charging yet. So head over to YoFlow.uk and sign up! 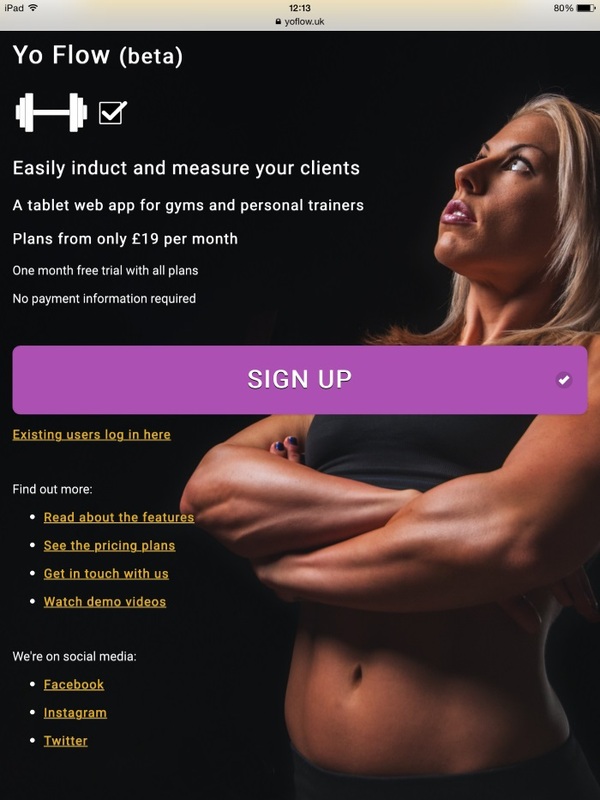 Yo Flow is a tablet web app to help gyms and personal trainers induct new clients. 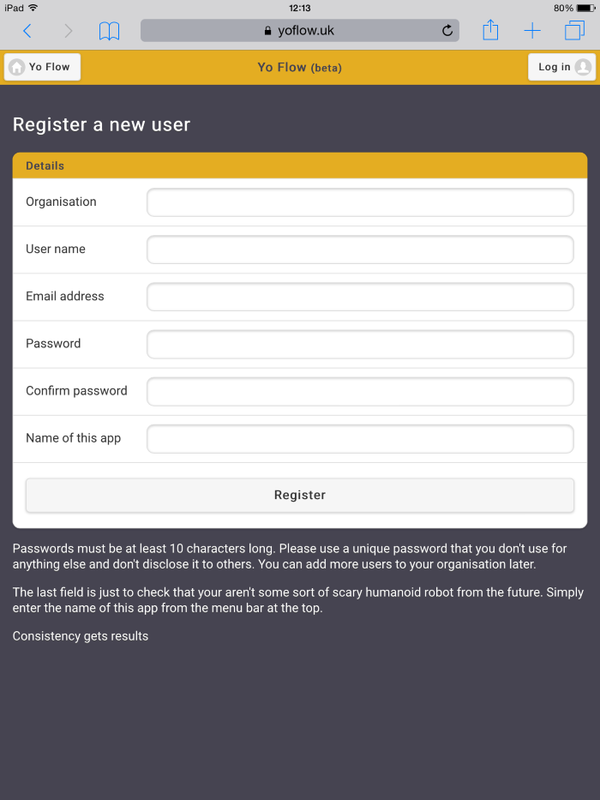 You can add user accounts for all the coaches and then they can perform a consistent consultation work-flow for each new client. The induction data is safely stored online so it won’t be lost and can be reviewed later. Here are some screenshots.